While a teacher at Hardy Elementary School in low-income Chattanooga, Tennessee, Brittany Harris was worried about the low test scores of students in the Hamilton County School District. She knew that for students to bring out their best in academics, they needed to have the involvement of their parents. This would require parents making frequent visits to schools. Yet, that has proven difficult largely due to a lack of transportation and other work obligations. Harris then realized that she had to create an avenue for learning that would also connect parents to their children. This avenue, to remain effective, should be mobile, she thought. 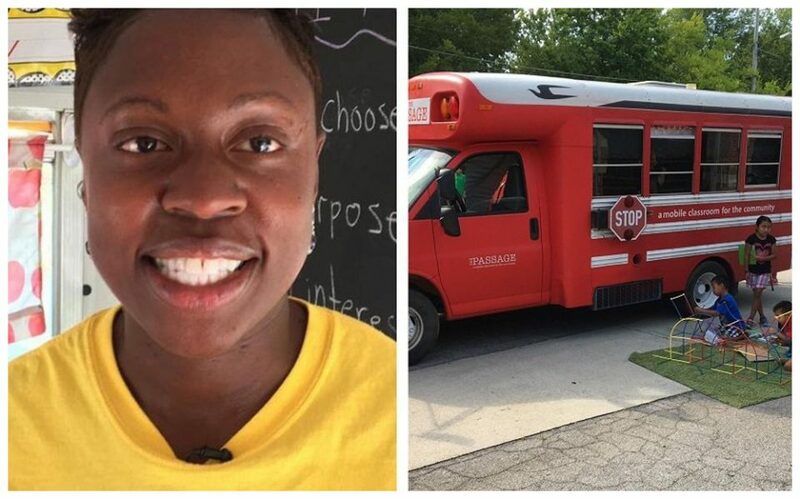 That was how she birthed the idea of turning a bus into a mobile classroom to basically connect with parents and families right at their front door. 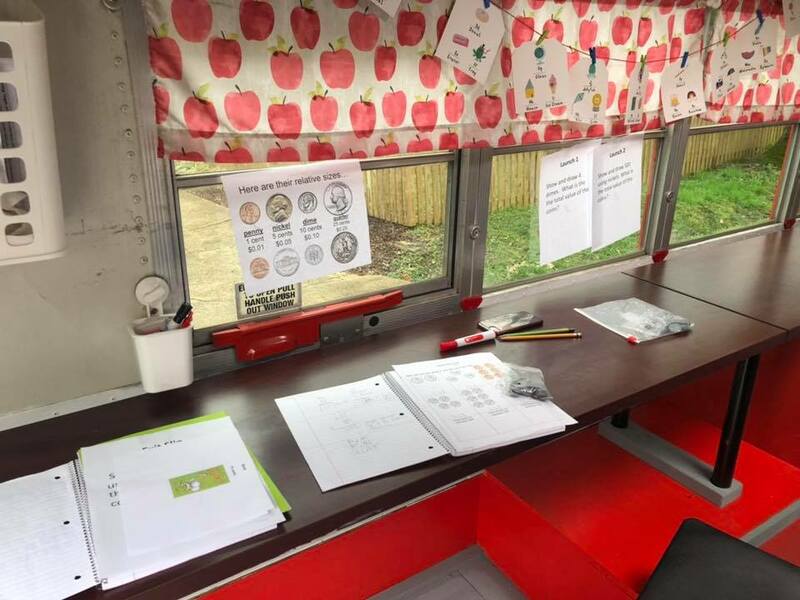 In April 2016, Harris bought an old mini school bus that she would come to name The Passage and transformed the interior into a mobile classroom. She did this alongside Colleen Ryan, a teacher and colleague. The two stocked the bus with tables, chairs, books, games, a television, a whiteboard, and iPads. By November 2016, they started making rounds with the bus, driving it to students’ homes. They offer 30-minute sessions for both students and parents once a week for four weeks, usually serving grades K-5. “In that time, they work with both students and their parents to build a notebook full of strategies, games and resources the parents can then use to help their students study,” reports the Times Free Press. Essentially, one of the main goals of the mobile classroom is to enable parents to learn the new techniques that are being taught and understand how to better work with their children. Harris, who is often innovative and engaging when teaching, ensures that the bus is always equipped with materials such as props, trivia, and games (math bingo, legos) that will make lessons fun. As the service is totally free, the rolling class sometimes finds challenges acquiring funding. 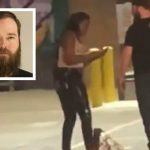 Harris initially paid for most of the items out of her own pocket, but the project now depends on several grants and donations. When they first started, Harris and her colleague’s major focus was East Chattanooga, the community around Hardy Elementary. The project has since visited other areas such as Hixson, the Brainerd Road area, Red Bank and anywhere people ask for their assistance. Usually, the two teachers work with about two families at a time, that sometimes includes other siblings. Students in pre-K through fifth grade are often under their watch, while those in middle school and other older students are mostly referred to other teachers. Apart from creating strong partnerships with parents, the mobile classroom aims to bring student’s reading abilities up to their grade level and increase mathematical fluency, reports Launch Chattanooga. Harris said the service is already showing results. 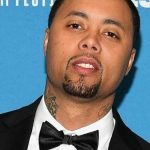 As of February 2019, it had produced 75 per cent growth in literacy, 80 per cent growth in mathematics, and 85 per cent growth in behaviour, Harris who is now a teacher at Barger Academy told the Steve Harvey TV show. As a teacher, Harris was, from the start, sceptical as to how journeying to be an entrepreneur would be. But she believed she had what it entails. “At the back of my mind, I knew I had the grit and strategies to form a business. Then, God blessed me with an extraordinary idea that has empowered my community to thrive. Becoming an entrepreneur has been an enlightening and positive experience,” she said.